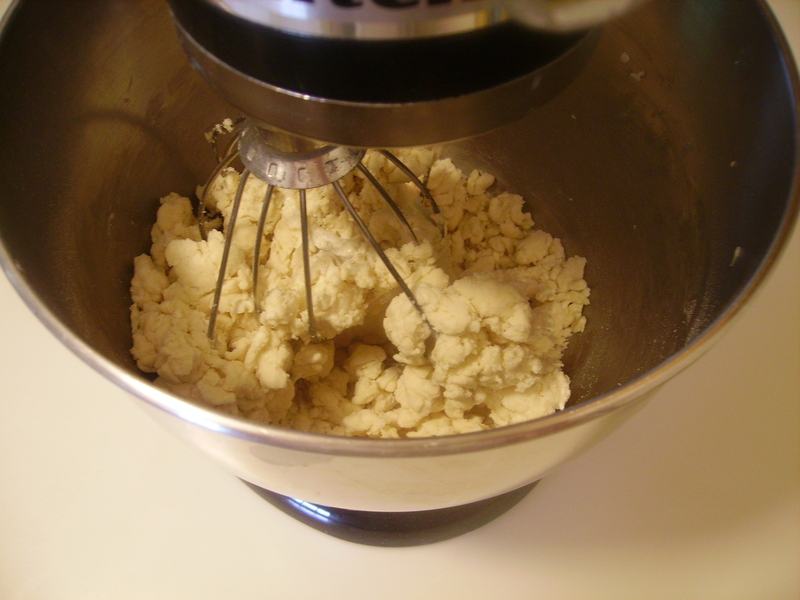 Whisk all the dry ingredients together in a mixer bowl. Grate a stick of frozen unsalted butter into the flour mixture. 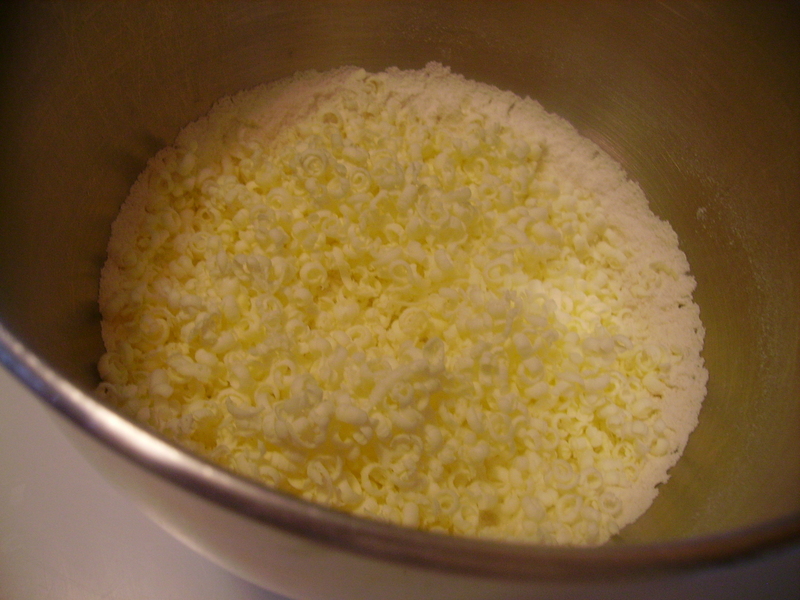 Cut the butter in as quickly as possible so that it will stay cold. The colder the butter, the flakier the scones will be. Whisk cold cream and vanilla extract into the flour-butter mixture. Avoid over-stirring, as this will make the scones tough. 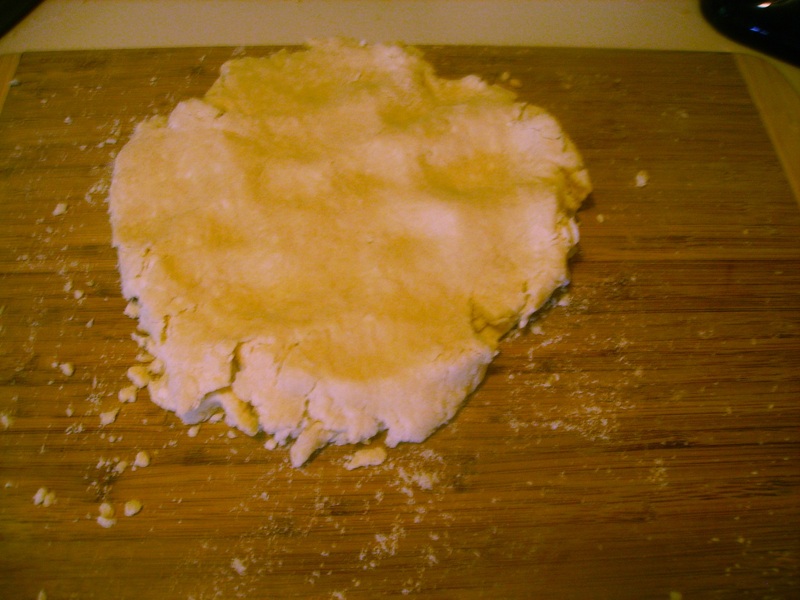 Turn the dough onto a lightly floured board. There will probably be flour crumbs that didn’t get mixed in, so just knead them into the dough. Knead 4-7 times, until the dough comes together. Flatten the scone dough out as much as possible. 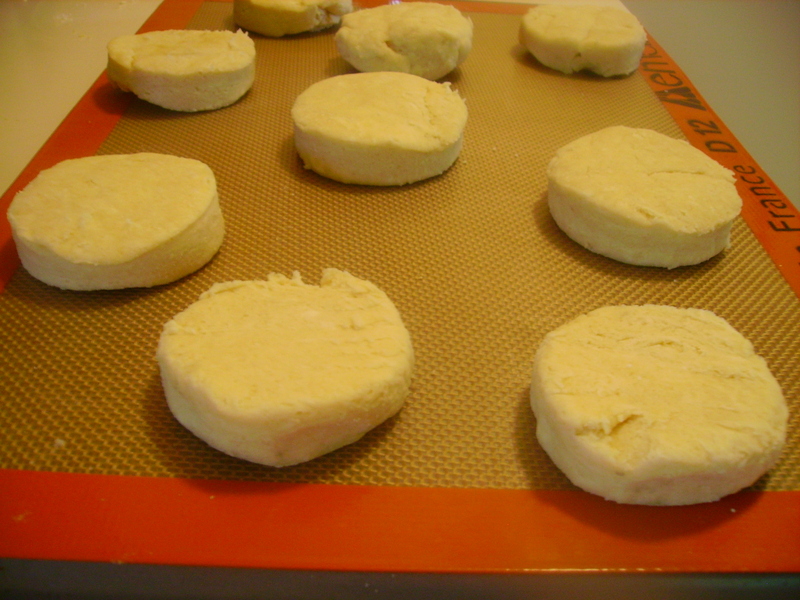 Cut out 8-9 biscuits with a round cutter. You may need to knead the dough back together once or twice, but handle it as little as possible. Bake the scones for 13-16 minutes on a Silpat or parchment paper–covered cookie sheet in a 375° oven. The scones are done when they give a little resistance if you press down on the tops gently. They may still be a bit soft, but they will set. 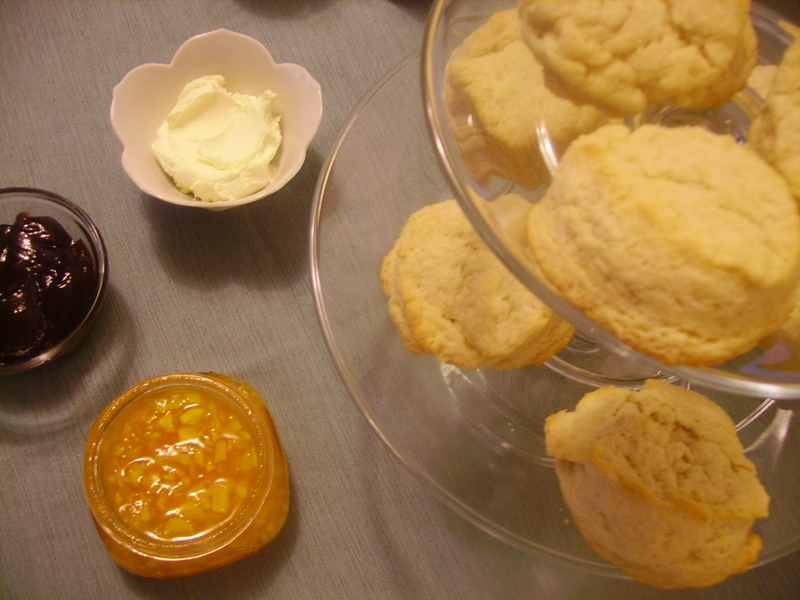 And the worst travesty would be over-baking these beautiful creamy scones so that they are completely dry. Mix together the cream and vanilla. Pour into the flour mixture. Using the whisk attachment on the mixer, stir slowly together. Scrape and stir again. Do not overmix, even if there is extra flour not mixed in. Cover the surface of a cutting board with a light dusting of flour. Turn contents of mixing bowl onto the cutting board and knead 4–5 times, working in the extra flour. Overworking the dough will produce tough scones, so be gentle and don’t stress about a few extra crumbs of flour that aren’t mixed in. Form the dough into a small round and slice into 8 equal triangles. 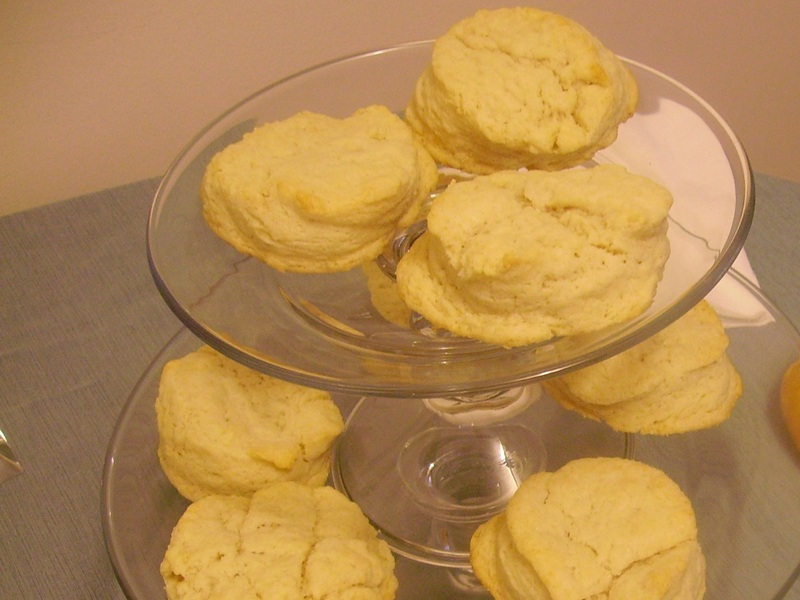 Place scones on a parchment paper–covered cookie sheet and bake 13–16 minutes. Cool before serving.